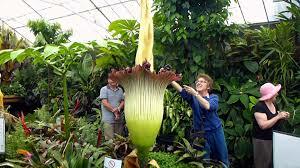 Titum arum is a flowering plant with the largest unbranched inflorescence in the world. 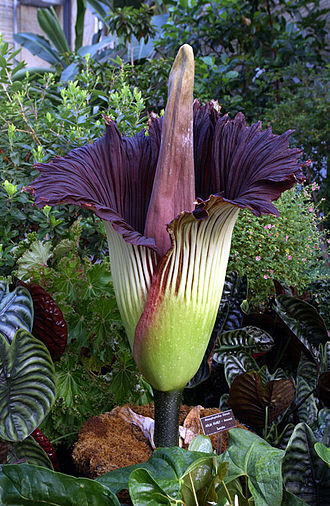 Due to its odor, which is reminiscent of the smell of a decomposing mammal, the titan arum is characterized as a carrion flower and is also known as the corpse flower or corpse plant. The titan arum grows deep in the rainforests of Sumatra, Indonesia. Fortunately you do not have to go to Sumatra to see one. Specimens can be found at various conservatories throughout the country and they bloom approximately once every two years. There is one at the UC Davis Botanical Conservatory and they loaned it to the San Francisco Conservatory of Flowers back in 2005 and it was so popular they extended the conservatory hours to meet the demand to see it (and smell it!) There is one at UC Berkeley Botanical Garden that just bloomed -- it finished July 27th. 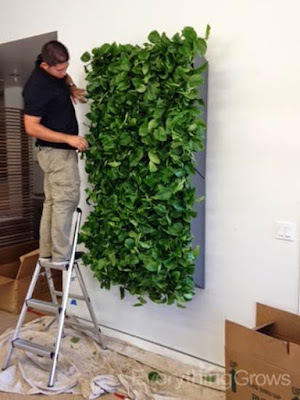 What does this have to do with commercial interior plants? Not much really but we can assure you that Everything Grows will not be placing one of these in your space! Even the greenest of thumbs are sometimes puzzled by their plants’ yellow leaves, but that yellow pattern can actually tell you a lot about what kind of problems your plant is having. Check out this info-graphic created by Safer Brand so that you can easily determine what your plant needs to stay green and healthy. Potted plants are particularly susceptible to yellow leaves, most commonly because lack of sun indoors and water. The upper part of the graphic explains how to determine if you are getting the right balance of sunlight and water. Check out the lower half of the graphic to view six of the most common nutrient deficiencies that cause a plant’s leaves to turn yellow. Besides showing you the signs, it also provides an organic way to fix your yellow leaf problem. Another option is the to leave your plant care to Everything Grows so your plants look great all the time and you do have to worry about them! 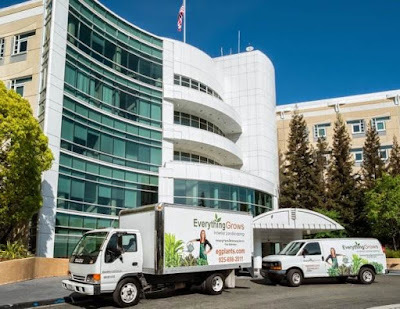 UC Davis has a great web site listing safe and poisonous indoor and outdoor plants. It is fascinating to find many common foods such as cherries, almonds, apples, and pineapples on the list. For cherries and apples it is the seeds that have traces of cyanide in them, unripened pineapples have the enzyme bromelain in them that can cause vomiting. 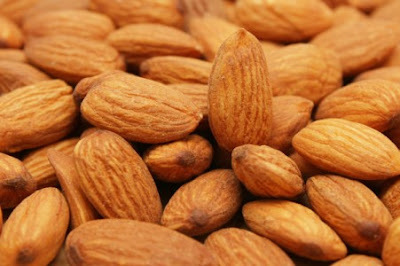 Almonds are extremely poisonous if not introduced to some sort of heat source. It is generally the bitter almonds that need to be treated to get rid of the poison. The seeds are full of cyanide, and in many countries are illegal to sell without having been processed in order to get rid of the poison within the seed. At Everything Grows we are careful to avoid the use of high toxicity indoor plants in places where children or pets might get to them. Below is a plant from the Dracaena family that is on the safe plant list. 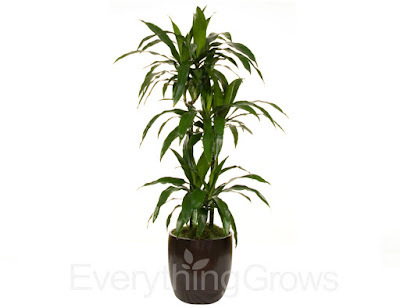 It is one of our go to plants that we place on many jobs. Here is a great article in The Telegraph about a recent study out of Europe on the health benefits of indoor plants in the workplace. The study shows that along with other benefits indoor plants boost office productivity by 15%. Previous studies have shown that the presence of plants can lower physiological stress, increase attention span and improve well-being. Team Everything Grows is doing the happy dance. Why? Because you rated our overall service as 9.4/10 on our recent customer satisfaction survey. A big thank you to the many customers who gave us their valuable feedback. We work hard to improve our service, quality, and response time. Customer feedback is a huge part of how we continue to improve. I love watching your crew come in and take care of the plants, they appear to know exactly how to care for our buildings plants. Our technician is always kind, observant and accommodating. Denise is very quiet, almost "stealth" and efficient. Gary is great! He is always really concerned for our plants and does an awesome job at maintaining them. If he feels like one needs an extra day of care, he is always willing to make a second stop during the week. He is super considerate and makes sure to contact me if he plans any drop-ins. 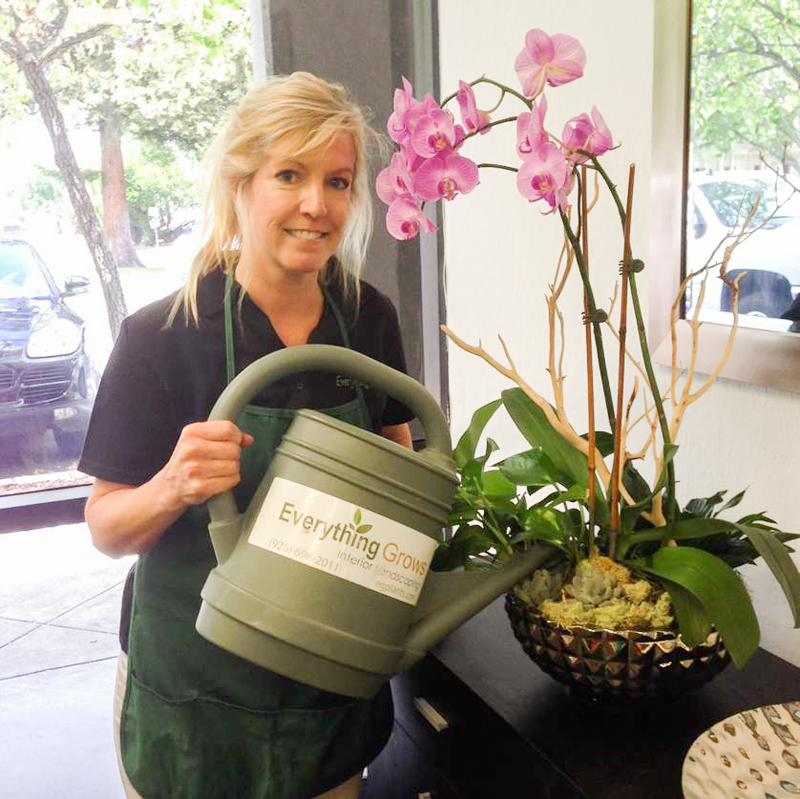 Susan does a great job with our plants and is very personable and professional! If you weren’t able to answer this year's survey, you’ll have a chance again. Customer input has a direct impact on our standards, and we take them very seriously. When you see our survey in the future, please let us know your thoughts.